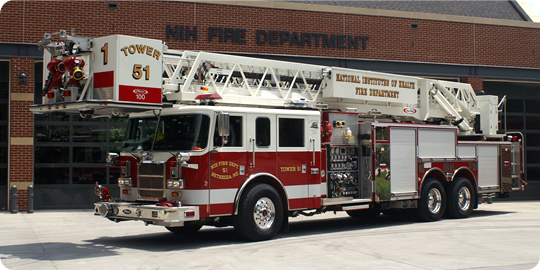 The NIH Fire Department provides fire, emergency medical, hazardous materials and specialized rescue services to the NIH. 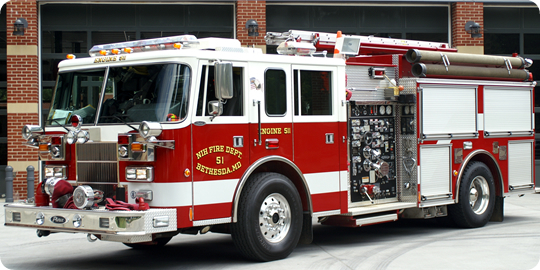 Many of the technological hazards at the NIH are unique and require specialized knowledge and originality in devising methods to prevent and mitigate the effects of the exigency Each type of operation presents vastly different and unusually difficult problems regarding the types and variety of hazardous conditions which must be efficiently, yet safely, handled. 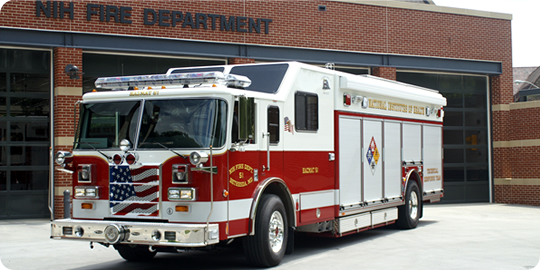 Serves as the principle liaison with the NIH scientific community and support organizations during emergencies. 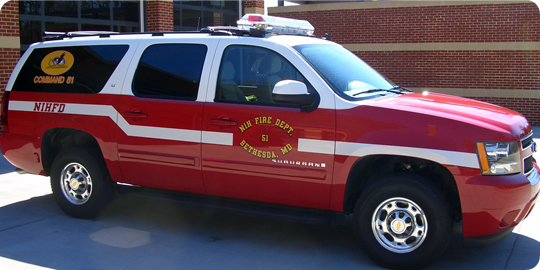 Develops and conducts in-house training initiatives in fire suppression, pre-hospital emergency medical techniques, fire safety initiatives, confined space rescue and other specialized emergency procedures which are necessary to mitigate the effects of incidents involving hazardous chemicals, bio-hazardous and radioactive materials. 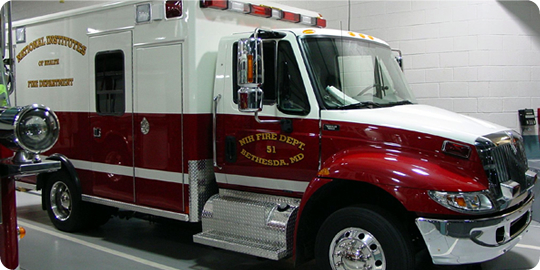 Responds to fires and other emergencies at the National Naval Medical Center and in Montgomery County, Maryland in accordance with current mutual aid agreements.